This layout can vary tremendously depending on the available soil, size of the lot and the home planned for – or existing on – the property. There are many ways to plan a system, and many variables to be considered. If the available area is small, with insufficient space for a full dispersal field, perhaps a sewage treatment plant will be called for. 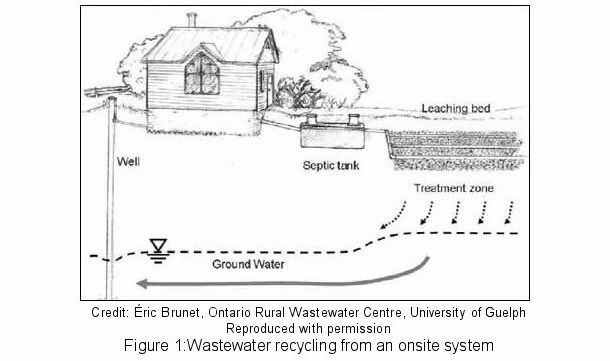 If the elevation of the dispersal system is slightly above, or even just level with, the septic tank, a pump may be needed to pump the wastewater to the dispersal field area. Regardless of the design of your individual system, proper use and maintenance are essential to keep it working efficiently. 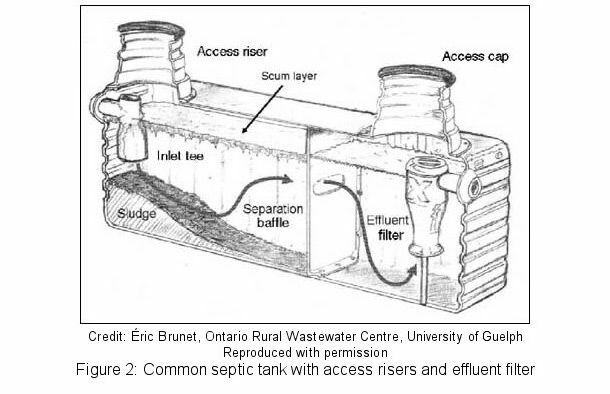 It should be noted that effluent filters themselves also require regular cleaning, not only at the time the septic tank is cleaned, but between tank cleanings, as well. Our servicemen can show you how to perform this cleaning yourself, or we can come out at predetermined intervals and perform the cleaning for you. Once the filtered wastewater leaves your tank, it is carried by means of a solid pipe to your distribution box, or D-box, and from there into the perforated pipes of your dispersal field. Your perforated dispersal field pipes are seated in, and surrounded by, specially prepared soil and drain rock, which provide the filtering process by which your contaminated water becomes clean enough to ultimately re-enter the water table. If you rely on a dug or drilled well for your water supply, it is essential that no part of the septic system be within 100 feet of this well. 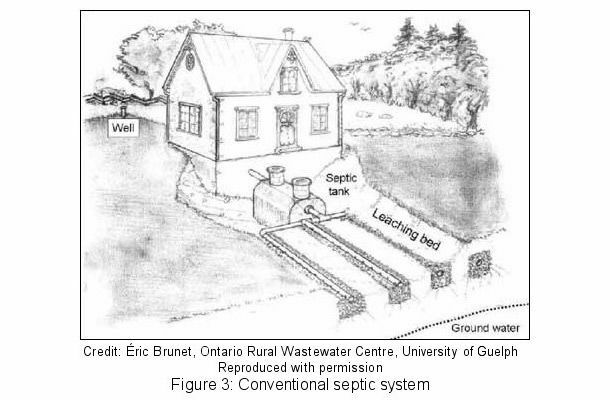 This includes any wells belonging to neighboring properties, which are close enough to the shared property line to be within 100 feet of where your septic system is to be constructed.